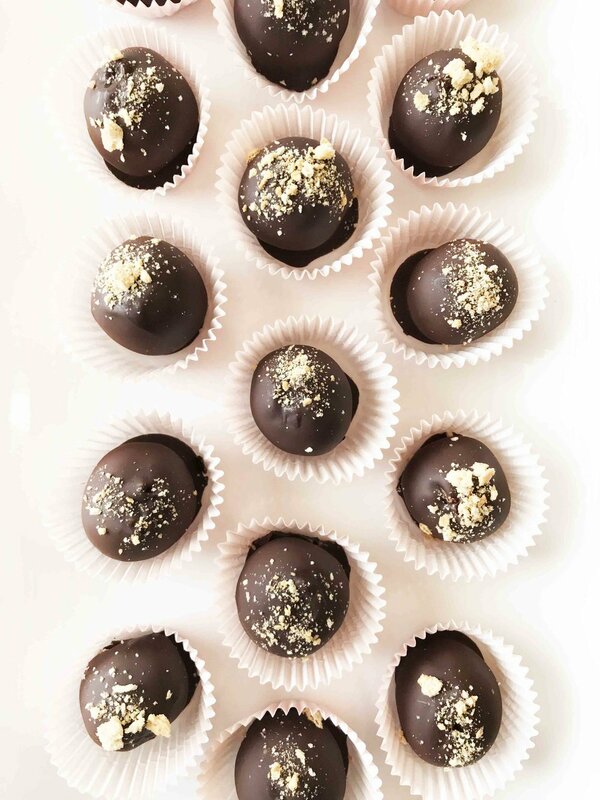 Pumpkin spice and everything nice, that’s what these truffles are made out of! These little cuties are surprisingly easy to make and are pretty impressive, if I do say so myself. Making candies is sort of one of those kitchen fears of mine that ranks up there even higher than most baking projects! I suppose that’s because candy making and baking are the more scientific limbs of cooking. And lets face it, I am no scholar. I lightened up the pumpkin spice filling my using a reduced-fat cream cheese and a confectioner sugar substitute. If you can find them, a light graham cracker could be used in place of traditional ones too, but I was using up what I had leftover in my cabinets from my indecisive eight year old. Either way, I ended up with 80 calories in a decent sized truffle. That’s not half bad. And considering you’re getting pumpkin and some dark chocolate in there too? I’d say that’s about as ‘healthy’ as you can ask a truffle candy to be! 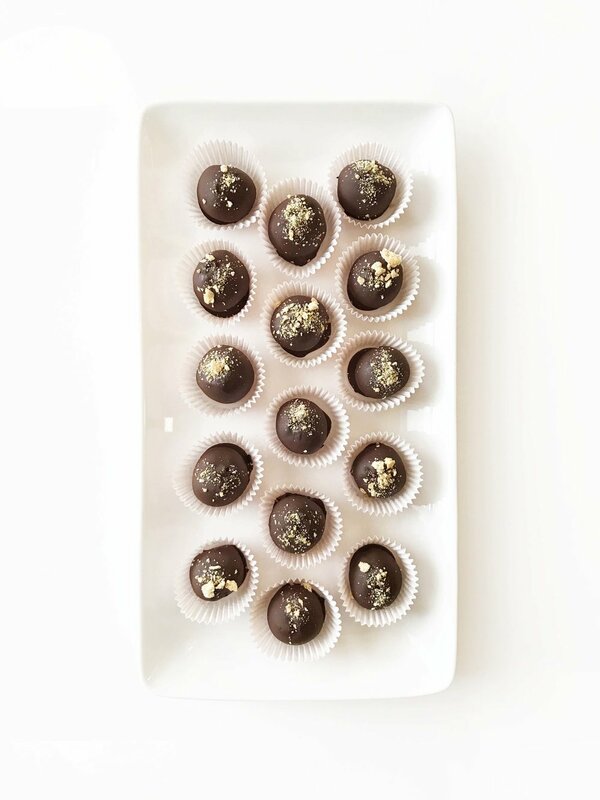 And y’all… I can’t say enough good things about these truffles. They’re sweet, decadent, and rich. They definitely help curb those cravings, giving you your chocolate fix without making you feel like you’re completely undoing your day. Shhh… I’ll be surprising some ladies with these after school today! I can’t wait to see what they say. 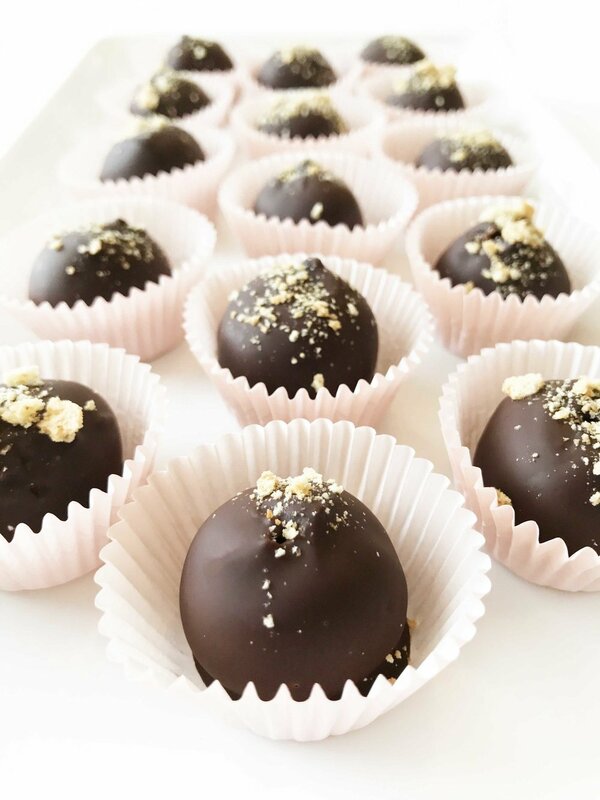 A lightened up pumpkin spice filled truffle that's coated in dark chocolate goodness for a surprisingly easy and delicious candy dessert! In a large bowl, or the base of a stand mixer with the paddle attachment, beat together the 2 Oz. cream cheese and 2 Tbsp. replacement confectioner sugar. Beat in the 1/3 C. pumpkin puree until smooth and creamy. Add in the 1 3/4 C. graham cracker crumbs, 4 Oz. melted white chocolate, 1/2 Tsp. pumpkin pie spice and 1/2 Tsp. ground cinnamon. Continue to beat until thickened and soft. Cover and place in the fridge to chill for 45 minutes. 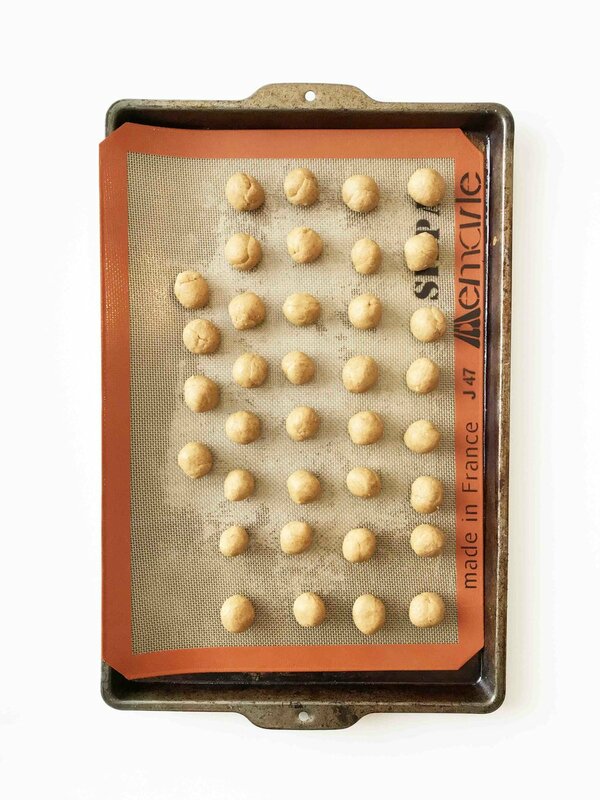 Place the baking sheet into the fridge to chill for another 30 minutes. Once chilled, melt your dark chocolate according to package directions and dip the pumpkin spice balls into the melted chocolate; tapping off any excess and placing back onto the prepared baking sheet. You can use whatever dipping method you prefer or if you have a ‘dipping’ set. I just used a couple of skewers! Place the baking sheet into the fridge for a final 15 minutes to allow the chocolate to set. Once done, enjoy right away or keep stored in the fridge for 3-5 days.